A Joint initiative from Reach to Teach UK and Gram Vikas Trust, Bharuch for Quality Education with The Department of Education, Government of Gujarat. Project Goal The proposed project will aim to improve attendance, learning levels of children, community participation in school governance and overall quality of education and reduce dropout rates in the Vagra and Jhagadia Blocks. To ensure children of school going age, in the project area, attend school regularly. To promote high quality teaching and learning processes in Pragna Standards 1 to 4 in 70 project schools. To help communities understand the importance of regular attendance in improving children’s learning outcomes and develop community ownership of the attendance programme. A total of 70 government primary schools of Jhagadia (40 schools) and Vagra (30 schools) blocks of Bharuch district (Gujarat, India). The project will directly benefit more than 7,000 children studying in classes 1 to 5. Of these children, 61% belong to Scheduled tribes, 11% belong to Scheduled Castes, 12% belong to Other Backward Classes (OBC) and 16% belong to the general category. While 28% of children from Vagra Block belong to Scheduled Tribes, 72% children in Jhagadia Block are tribal. 01 April 2015 to 31 March 2018. At the end of the second year in March 2017, the project has already been excuted in 70 Government Primary schools. There is further potential to expand the coverage to more schools in Vagra and Jhagadia Blocks from year four onwards, depending on the success of the three-year pilot. 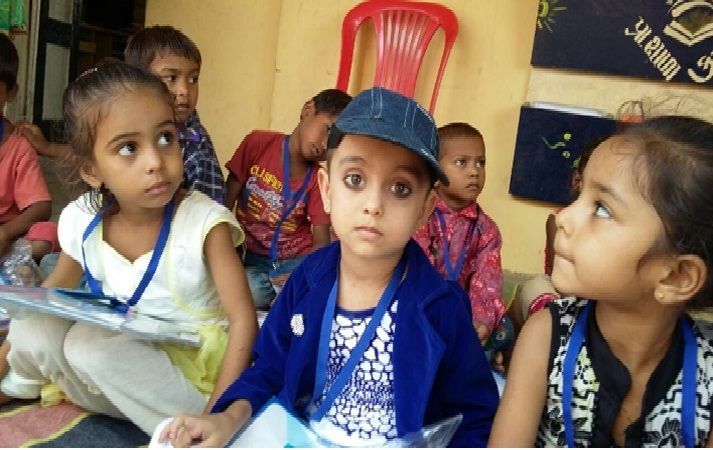 A Joint initiative by Vibha USA, Village Development Council (VDC), London, Asha for Education and Gram Vikas Trust, Bharuch for Quality Education in partnership with the District Education Department Bharuch, Government of Gujarat. 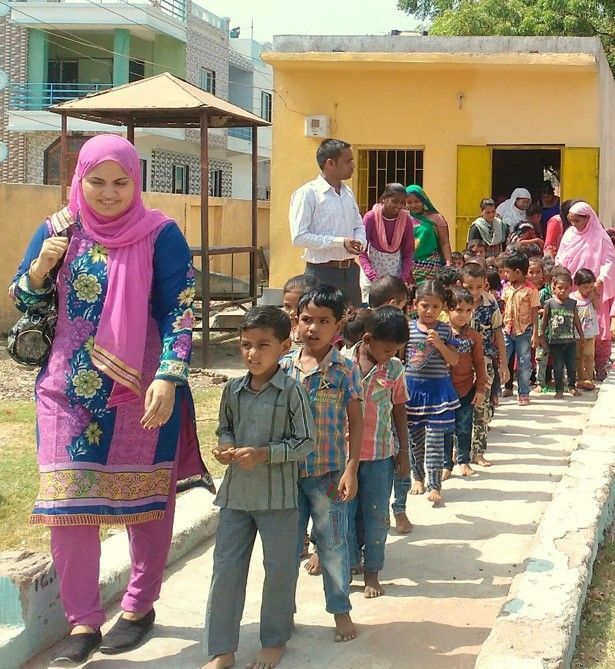 This project focuses on improving enrolment, retention and quality of education in 39 primary schools of Jhagadia and Vagra blocks in Bharuch district. 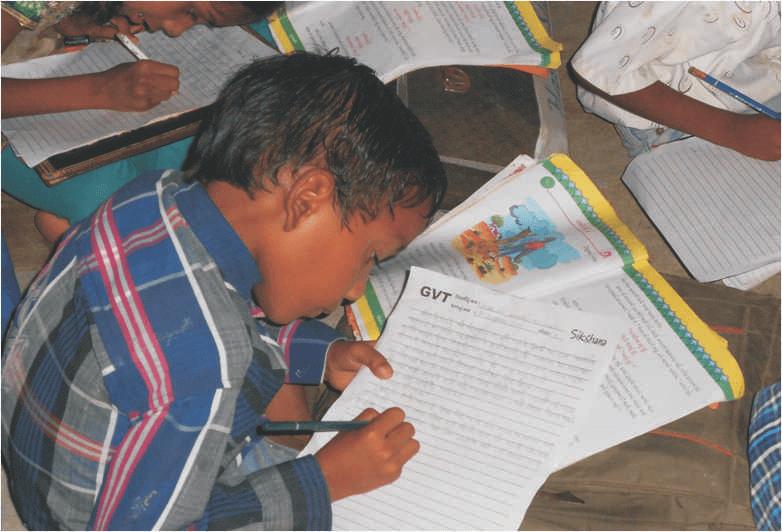 Gram Vikas Trust is implementing the Shikshana model keeping in mind the vision and mission of the project, which is “To improve the quality of education in primary schools, so that the children develop interest in continuing secondary education, and make secondary education accessible to all the eligible children”. Home visit and motivating parents to send children to school. Learning and playing activities in the project schools, and motivating children through giving them stars on their periodical achievements. Providing para-teachers (where there is a lack of teachers) in the project schools. Teachers’ training to develop their perspectives and positive behavioural skills. Overall monitoring the Shikshana school performance for consistent improvement. A total of 31 government primary schools of Jhagadia block (supported by Vibha USA), 8 schools in Vagra block (supported by VDC, London and Asha for Education USA) in Bharuch district (Gujarat). The project has directly benefitted more than 5,000 children studying in classes 1 to 8. Started in 2010, the project continues, and donor’s support is welcome to expand it in more villages. An initiative of Gram Vikas Trust, Bharuch supported by individual and organizational donors. This project supports girls living in interior villages to enroll in and attend schools regularly after class 6, otherwise they would drop out, as there are no upper primary or higher secondary schools in their own villages. For example, in 2009, GVT found out that in Aladar village (Vagra block of Bharuch district), none of the girls used to go to school after class 6, and till 2009, there was no girl in the village having higher secondary education. Department of Primary Education at the district level (Bharuch). The project goal is simple: to enable more than 150 girls every year to access education after class 5 and beyond. Identifying girls who are dropped out and need enrollment in higher standard in nearby village higher secondary school. Individual counselling and motivation Motivation of parents and counselling. Procuring and providing bicycles to the girls. Tracking their progress in terms of their attendance and learning. Location Interior villages of Bharuch district, where there are no higher secondary school within the village. The project has directly benefitted more than 1,000 girls so far, and continuing. More than Rs. 32,00,000/- so far, and approximately Rs. 4,80,000/- per year. (Approximate cost per child per year, or more than one year: Rs. 3,500/-). Started in 2009, the project continues, and donor’s support is welcome to expand it in more villages to benefit more girls. 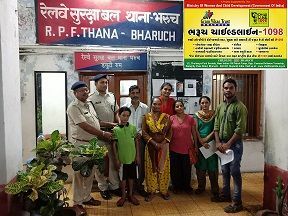 An initiative of Gram Vikas Trust, Bharuch supported by corporate and other donor organisations, in partnership with the District Education Department, Bharuch (Gujarat). This project supports schools located in interior villages with number of teachers to address the situation where there is a shortage of adequate number of teachers affecting quality of education. To improve enrolment, attendance and teaching-learning process in schools by providing qualified teachers in government schools where is a shortage of teaching staffs. Liaising with district primary education department and identifying schools which are in need of qualified teachers. Raising funds for the teachers’ salaries, and recruiting qualified teachers. 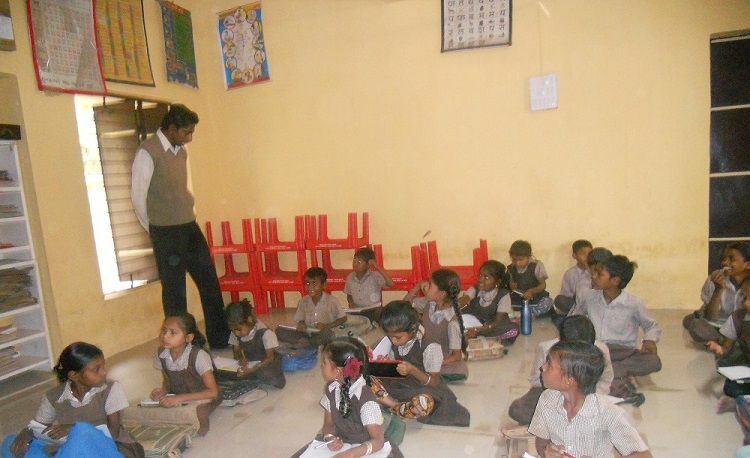 About 60 schools located in interior villages of Bharuch district, where the schools have shortage of teaching staffs. The project has directly benefitted more than 5,000 girls and boys so far, and continuing. More than Rs. 25,00,000/- so far. (Approximate cost per child per year: Rs. 500/-). Started in 2012, the project continues, and donor’s support is welcome to meet the requirements of the interior tribal and rural village schools. An initiative of Gram Vikas Trust, Bharuch supported by individuals and corporate and other donor organisations. This project supports economically poor girls and boys who are in need of school kits that include school bag, note books, pencil, uniform, and so on. To support economically poor girls and boys to improve their enrolment, motivation to attend schools, and learning process in schools by providing education kits. Liaising with district primary education department and identifying schools and children that are in need of education kits. Raising funds for the education kits, and procuring and delivering the same to the needy girls and boys. More than 100 villages of Bharuch district. More than 25,000 school children. More than Rs. 1,00,00,000/- so far. (Approximate cost per child per year: Rs. 1,000). Since 2001, this activity continues, as it is simple to provide a donation ranging from Rs. 500 to Rs. 1,000 that supports a child with learning aid for one year. Individual and organisational donors are welcome to support us in this cause. This project supports economically poor girls and boys who are in need of education materials and school fees in higher secondary and above level education. Department of Higher Education at the district level (Bharuch). To support economically poor girls and boys with education materials and school fees to improve their enrollment, motivation to attend schools, and learning process. Liaising with district education department and village leaders to identify children who are in need of education kits and fees. Exploring donors who wish to support children’s education, and linking them to the needy girls and boys, while also managing funds to meet children’s needs. More than 10 villages of Bharuch district. More than 200 school children in higher education. More than Rs. 14,00,000/- so far. (Approximate cost per child per year: Rs. 7,000/-). Since 2001, this activity continues, as it is simple to sponsor a child that costs approximately Rs. 7,000 per year. Individuals (for example employees of any organisation) and organisational donors are welcome to support us in this cause. An initiative of Gram Vikas Trust, Bharuch supported by FINISH Society and district government. 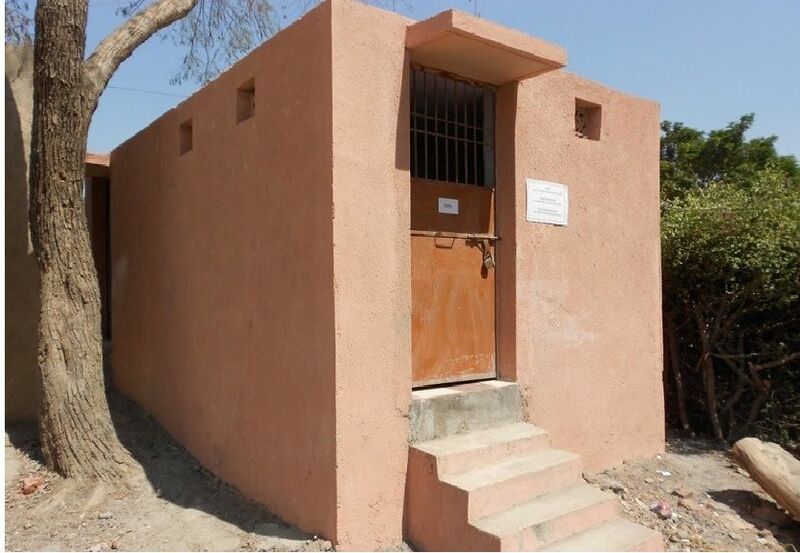 This project aims at providing access to safe sanitation system in rural areas of Bharuch district. This is part of a larger project supported by Financial INclusion Improves Sanitation and Health (FINISH), a Public Private partnership, aimed at providing access to safe sanitation systems for 2 million people throughout different states of India. District Rural Development Agency, Bharuch district. Leveraged funding from the district government. To achieve the overall objective of improving quality of life through better health and hygiene in rural areas of Bharuch district. Baseline survey to know the pre-project status of sanitation units in the target villages. 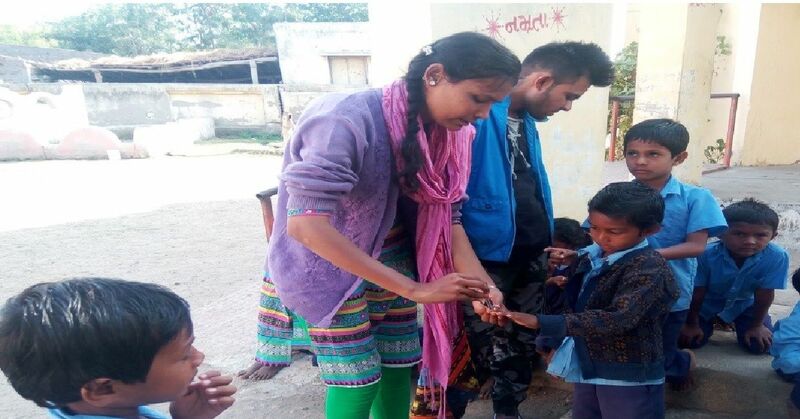 Use of Information Education Communication (IEC) materials to promote safe hygiene practices, including a film show “Let's make it rights for community”. Animator and mason training activities. Village and Falia (sub-village) meetings on importance of using sanitation unit, and disadvantages of not using the same. Slogan writing on the walls in the villages to promote safe sanitation and hygiene practices. More than 66 villages of Bharuch district. More than Rs. 7,80,000/- so far for awareness raising, and for construction of sanitation units, leveraging government funding from Swatch Bharat Mission (SBM). 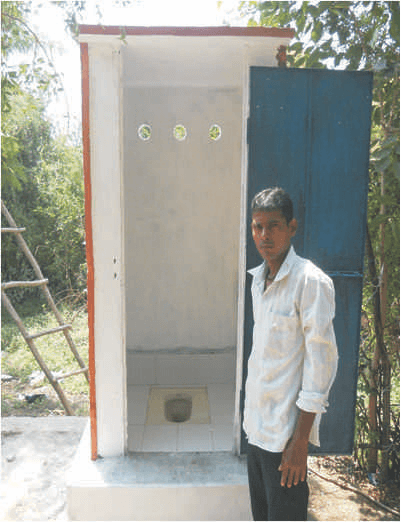 Since 2013, this project continues supporting the rural households to have access to safe sanitation units, and to raise awareness on improved hygiene practices. A joint initiative of Gram Vikas Trust, Bharuch and Charities Aids Foundation (CAF), New Delhi and the District Education Department, Government of Gujarat. This project aims at creating access, awareness and action with regard to safe sanitation and hygiene for the school children. The project, for the period of 2015 to 2018, includes activities such as construction of 15 new and renovation of existing 5 sanitation units, separate for girls and boys, within the identified schools. The project also includes creating awareness among the school children and organizing them in hygiene committees to ensure effective and sustainable operations and maintenance of the sanitation units. District Primary Education Department, Bharuch district. Access: To construct/renovate sanitation facilities in schools in identified government primary schools in Amod, Bharuch, Jhagadia and Vagra blocks in Bharuch district. Awareness: To raise awareness on sanitation and hygiene practices in 20 identified schools. Action: To engage stakeholders through advocacy and capacity building on sanitation and hygiene issues for ensuring sustainability and impact. Liaison with the school/education department/community to carry out the project in government primary schools. To strengthen School Management Committees (SMCs) and their regular meetings. Formation of children’s groups/clubs for regular monitoring of the sanitation units. Conducting meeting with SMCs and school staff regarding project activity. Hygiene and sanitation awareness through street drama, documentary show and campaign at school and community levels. Construction and renovation of sanitation units in identified schools. Effective hygiene education in schools. Timely maintenance to sustain sanitation infrastructure by giving responsibility to the formed committee. A total of 20 primary schools in Amod, Bharuch, Jhagadia and Vagra blocks of Bharuch district. 01 June 2015 to 31 May 2018. An initiative of Gram Vikas Trust, Bharuch supported by Ministry of Health and Family Welfare, Government of India. Reproductive and Child Health (RCH) issues result in maternal mortality and child deaths. In remote rural and tribal areas of Bharuch district, RCH issues affect the women and children. In October 2004, GVT was identified as Mother NGO by the Ministry of Health and Family Welfare, Government of India, New Delhi to address the RCH issues. Department of Health, Government of Gujarat. To strengthen the technical and managerial competencies of Field NGOs (FNGOs) and to facilitate implementation of RCH activities in coordination with the National/State and District Health Department. Facilitating capacity building of Field NGOs (Gharda Foundation, Development Support Team and Santigram Mandal). Enhance FNGOs’ capacity for financial and administrative management. Addressing issues of maternal health, child health, family planning, sexually transmitted infections and adolescent reproductive health. Enhance FNGOs’ capacity for effective program monitoring and evaluation. A total of 27 underserved villages of Ankleshwar and Vagra blocks in Bharuch district. More than 50,000 people. Budget Rs. 13,05,972.00. On receipt of grant, the project was started in 2006 and continued for 3 years. Due to unavailability of grant with the state government, it was then closed. 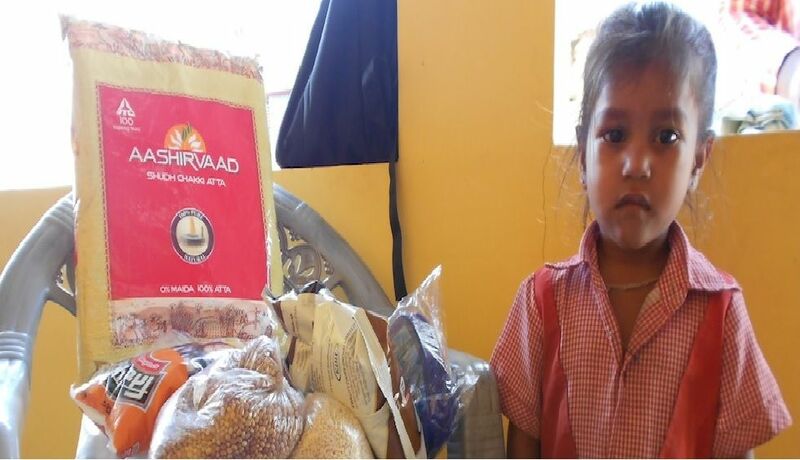 Gram Vikas Trust (GVT) runs a programme to provide malnourished and underprivileged children with rations for three months. GVT has found a direct correlation between the backwardness of the region and the degree of malnourishment that children suffer from. The scheme provides for children to receive nutritious food through Anganwadis in their respective villages. Feedback on progress and the scheme itself is collected from Anganwadis as well as the children’s parents. Children group members are identified from the Anganwadi, and visit children at their homes or at the Anganwadi centre. They conduct nutritional assessment using recognised methods such as Mid Upper Arm Circumference (MUAC) measurement, and test the water using a Bacto H2 kit. A record of the child, including nutrition, diet composition and frequency, hand-washing practice, etc. is collected from parents. Parents are invited to a public video show and a street play on malnutrition. The water test reports are also shared with the parents. Adults and community leaders are encouraged to write appeals to political representatives to include malnutrition in their election manifesto. 80 – the number of villages surveyed in Bharuch district by GVT. 1-5 – the age group of children found malnourished. 1-5 year bracket who were malnourished. 1-5 year bracket who were severely malnourished. 41 – the percentage of the blocks under survey that had more than a quarter of their children malnourished. 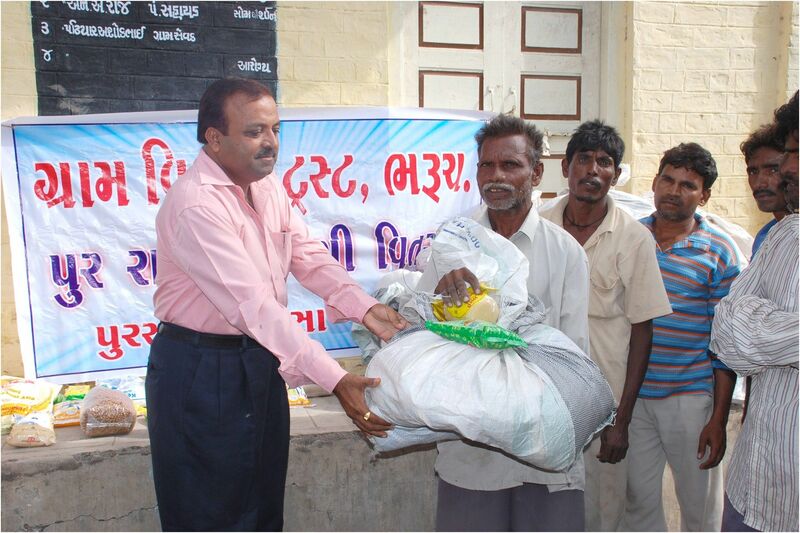 The Gram Vikas Trust (GVT) runs a programme to provide an elderly and destitute person with rations for a month. 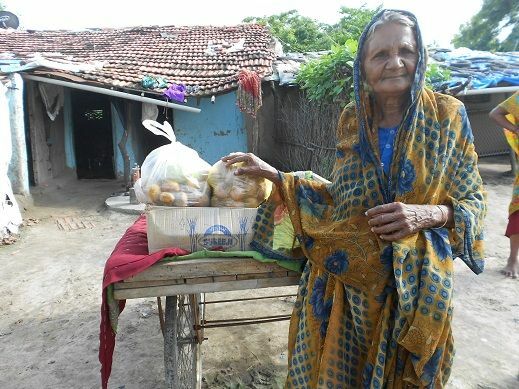 GVT has found that the elderly destitute live in inhuman conditions, especially in rural and urban slums in Bharuch, in spite of several preceding welfare initiatives. In coordination with local grocery suppliers, GVT has prepared kits with basic provisions. Kits are distributed by GVT volunteers to individuals identified as needing them. The recipients are between the ages of 60 and 90, and have been left to fend for themselves. The socio-economically marginalised youth in Bharuch district face the challenges in terms of lack of employment and also lack of employable skills. Furthermore, life skills such as self-confidence and entrepreneurship are also the primary needs that the youth have in high demand. The marginalised youth living in poverty lack the financial resource to access the required employable skills, thereby further keeping them trapped in poverty. Effective skill building program is a need that also addresses poverty eradication cause. Gram Vikas Trust promotes vocational training programme in Bharuch district in 4 blocks i.e. Bharuch, Ankleshwar, Vagra and Jhagadia aiming at enabling and empowering youngsters from families that are below poverty line. These 30 to 90 days programme equips unemployed youth (18 Years and above) with vocational skills that ensures employment with organizations at the end of training programme or starting up income generation activities as self-employed individuals. It helps rural youth of Bharuch district to gain skills by which they can earn income and be self-reliant. In addition to imparting knowledge and skill sets in these vocations, Gram Vikas Trust trains youth in life skills and English speaking. A special attention is given to inculcating personal and community values in the youth. The major objective of the program is to empower the underprivileged and marginalized youth, especially young women, through vocational training. Training programme addresses all the aspects of the individual, and not just the skills such as handicraft or computer operating. The vocational training centres have been located in Jhagadia and Vagra blocks, right within the needy village centres. Following are the main skills imparted in the training centres: Tailoring, Handicraft, Beauty Parlour and Computer Operating. Managing two training centres (Jhagadia and Vagra). Training courses on tailoring, handicrafts, beauty parlour and computer operating. Youth, especially young women, trained on skills that provide them regular incomes. Increased employment opportunities for the youth in different industries. Asha for education and Give India provide funding support. More than 1,500 youth trained in tailoring, handicraft, beauty parlour and computer operating, who are earning regular incomes from jobs or from self-employment. Dozens of villages of Jhagadia and Vagra blocks of Bharuch district. This program was initiated in 2009 and is still ongoing. Vocational training on tailoring, computer. CHILDLINE is the crucial link between children in need of care and protection and the available services. For children with different needs, who call in anytime, anywhere, and for anything, it acts as a one-point contact which facilitates instant access to support, advice, active intervention or just a listening ear. CHILDLINE 1098 connects children in emergency on one end of the phone line to a well connected network of services. Gram Vikas Trust as a voluntary agencies, which shall function as the call centers for CHILDLINE. They work 24hours and respond to calls that are received on the 1098 CHILDLINE service. The collaborative organisations are provided with a center coordinator who manages a team of 12 persons that respond to calls and intervene in emergency cases. Disasters in India, and around the globe, has been an increasing phenomenon, both in terms of intensity and geographical spread. Bharuch district, also vulnerable to disasters, is located on the mouth of the Narmada River in South Gujarat. The district is vulnerable to flash floods and industrial pollution in the coastal area. The most vulnerable population affected by the disaster include schedule caste, scheduled tribes, children and women who are also economically marginalised. So far, GVT’s objective in disaster management has been to respond to the emergency situation by providing food and non-food items to the affected people. Looking forward, GVT intends to become a resource agency that provides training in disaster response and preparedness, as well as trained teams who are ready to be deployed in case of an emergency anywhere. Year 2013, flash flood response: Distribution of non-food items (cloths, utensils, blankets, toys for Anganwadi centres, etc.) in flood affected 5 villages and 1 island (Alia bet) of Bharuch district. Looking forward, GVT aims to build a response team of volunteer doctors and other emergency personnel who can be deployed in case of a disaster. Disaster affected people, especially marginalised children and women, have had access to essential food and non-food items. Qualified personnel trained in disaster response and preparedness, who are ready for deployment. Year 2013: Goonj (http://goonj.org/), New Delhi. Flood affected communities of a dozen villages in Bharuch district have been covered so far, and future plan is to expand in this area based on the need and GVT’s increasing strength. We are planning for expansion in other districts and states.